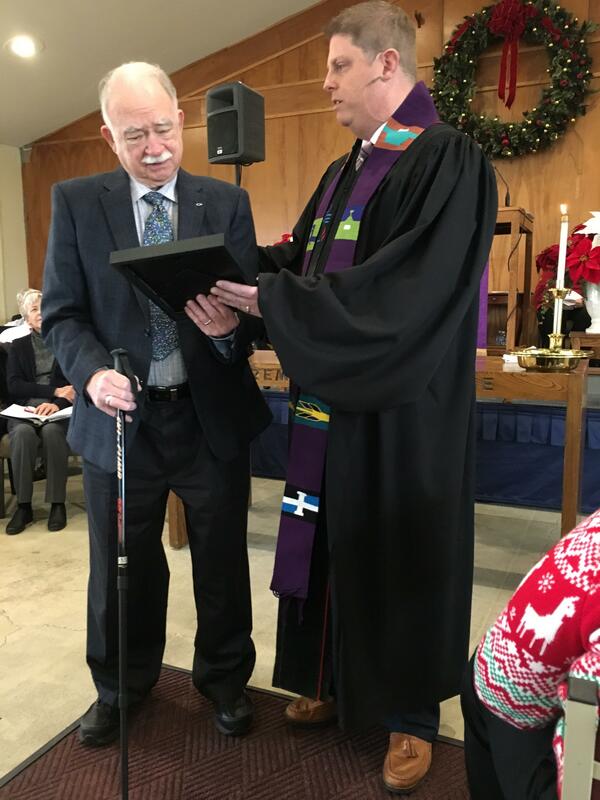 On Sunday, December 9th CMPC bid farewell to brother in Christ, Bill Gretsch. Bill has been a part of the CMPC family for over 50 years. 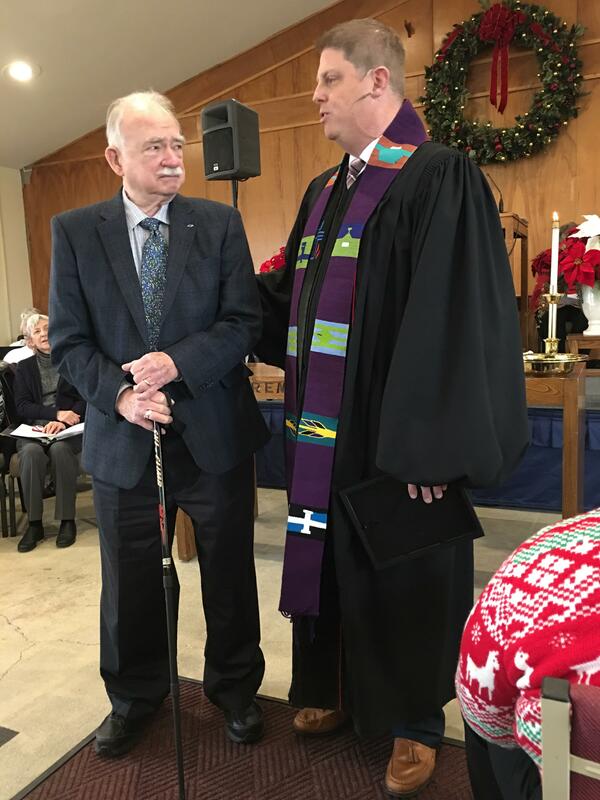 He served CMPC as an elder, a chair and member of numerous committees including the evangelism and building committees, an active volunteer with the LOGOS ministry, and in many, many other capacities. Bill is moving to be closer to family in North Carolina and has assured us he will be back to visit as often as possible. During worship Bill was presented with a framed print of the benediction Rev. Hoffman uses each week to conclude worship. All of your friends and family at CMPC will miss you tremendously, Mr. Bill!